Full service real estate vs. FSBO. What should we do? Reader Question: Full service real estate vs. FSBO. We are a retired couple planning on selling our home this spring. We have no mortgage and believe the house is worth about $350k. 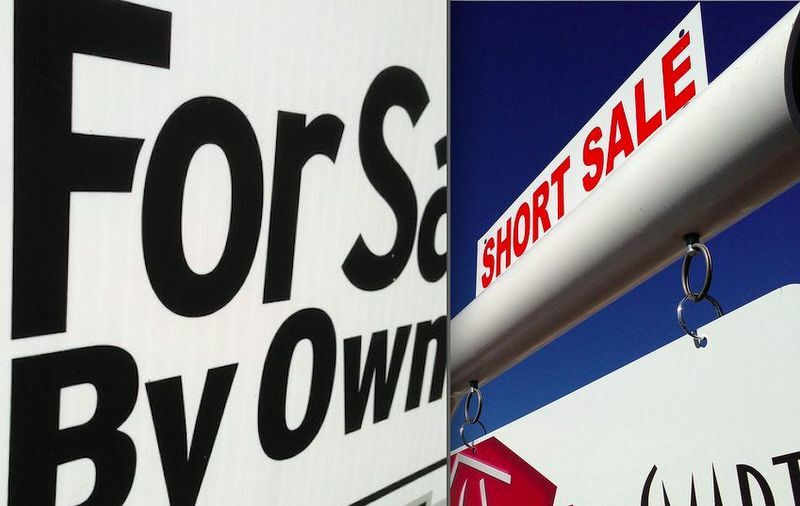 How would you approach the sale, with an FSBO agency or a traditional Realtor? Tom and Maureen G.
1. Gather information on a number of agents and companies that are active in your neighborhood and do some research to whittle the contenders down to three or four “finalists.” The whittling can be done by observing agents at open houses, calling them on the telephone with some questions you have that may lead to a personal interview and asking acquaintances who have recent experience with agents. 2. Invite the finalists for an interview and ask them the same or similar questions as the questions recommended in the article titled “Choosing your real estate agent” at www.DearMonty.com. 3. With this exercise, it should become apparent with which agent you want to work. For most of us, our home is our largest single investment so perhaps it should require some effort on your part. What will pop out at you is how differently they answer your questions and interact with you. How they practice real estate and their operating philosophies. Their completed questionnaire, or your notes on their responses provide good information to your questions. If an agent balks at this process, that may be a harbinger of things to come. How much they know about evaluating and marketing a home. They may want to gather information from you at the first meeting and come back in a few days with their opinions. Will they discuss any repairs or recommendations before showing the home to a potential buyer? Will they offer up how they envision presenting your home to prospective customers? Let them talk. You listen and observe. How you relate to them. Are they good conversationalists? Do they tactfully stay on point? If you throw out an objection or concern, does the response make sense or did they dismiss it? Are they “puffers” or are they providing valuable information? 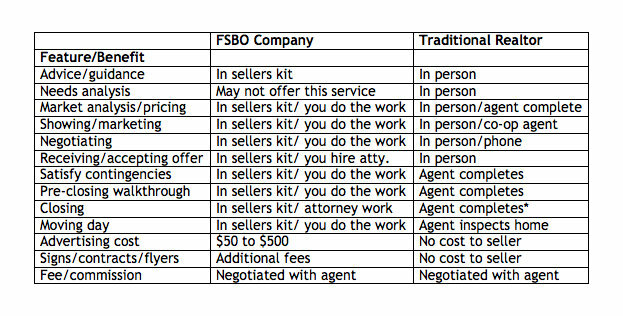 To address your direct question about a traditional agent or an FSBO company, here is a schedule that depicts a general overview of the two services. I called neither a traditional agent nor an FSBO company to create a schedule. Any agent or rep you speak with may describe their particular service differently. Do not feel like you are “putting them out” or asking too much of them, as you have your interests to protect. Here are some of the most common myths in real estate to keep in mind when interviewing agents. There are good real estate agents out there. Unfortunately, there are also agents that are not so good, but it can be difficult to spot the differences. Unlike a car battery or a washing machine, the real estate “service” is somewhat invisible. That is why it pays to take the time and effort to seek out and observe, as the work product becomes visible in the process. Real estate is no different from other businesses, which have similar challenges in improving the playing field for consumers.